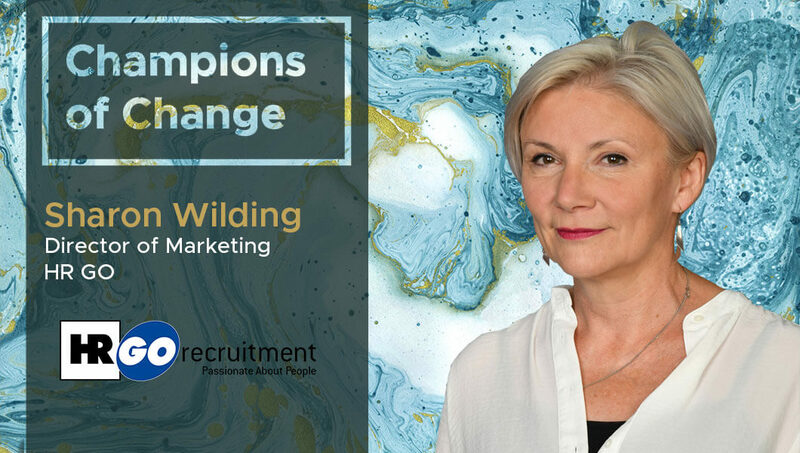 Interview with Sharon Wilding, Director of Marketing at HR GO Plc. Thank you so much for taking our questions! Tell us a little about your business and your specific role? HR GO is a group of business services and recruitment companies, each with their own brand and website. I lead the marketing teams that supports all the companies for all their marketing needs, from PR and promotions, through exhibitions, campaigns, websites and online advertising. Online advertising and the ability to apply for jobs online is critical to success in recruitment these days. When did you first realize that you had an issue that needed a digital solution? What was the nature of the problem you set out to solve? Having invested in a new web application for job advertising we were paying close attention to the performance of our site. Ultimately our objective is to boost the number of applications for jobs we have advertised. We worked with our existing SEO agency on increasing traffic but the conversion rate was lower than we would have liked and was proving hard to affect. We discussed the issues with our web agency, Space Between, to seek their advice on possible solutions. What were the challenges you faced at the time as you began the process of evaluating solutions? We realized that it was hard to truly put ourselves in the role of a candidate, so we struggled to understand why they might find it hard or unappealing to reply to a job, despite having been drawn to it in the first place. And when we discussed making adjustments it was hard to attribute and evaluate the relative improvements to changes – which could even have been cancelling each other out. What did the final solution look like and what were the broad benefits that it delivered? Our final solution was a design that made the site simpler to use for our customers. Sounds obvious doesn’t it? From the exercise we learnt and confirmed that our customers had trouble with the language used on the page, seeming too forceful in pushing them through a process which can be quite stressful. Although we thought we were being straight forward and direct. Instead, opting for a more relaxed language actually helped increase our conversion rate. For example changing ‘Apply now’ to ‘Read details and apply’. Similarly we noticed we had a problem with color causing stress. Our primary color was a sharp orange, this meant that customers eyes were drawn in multiple directions. Simplifying our color palette and using this orange in short supply, but in key areas, meant that we could use this to our advantage by drawing our customers more specifically in the direction we wanted. What were some of the key elements that were responsible for the project’s success? What processes have you found useful for implementing digital technologies? Improving the user experience across the website as a whole is an area we have been discussing with our digital agency, Space Between, for a while. As part of the objective to improve conversion they suggested using their unique, portable, biometric lab to get a deep understanding into our customers and what they’re thinking as they use the job board area of the website to help them find jobs suitable for them. The lab can collect information in the form of eye tracking, facial recognition, GSR and heart rate monitoring, to name a few. After running this in depth session, we found a huge number of areas that we could be looking into, some of these were very granular and too small to fit within our standard optimization strategy. The challenge we faced then was how to possibly test the many ideas we had for improving these bottleneck areas. Standard A/B testing approaches would have taken a year or more, testing one thing at a time. Fortunately, Space Between had recently uncovered a product called Sentient Ascend, which uses artificial intelligence to accelerate and automate web site optimization. Ascend allowed us to test the vast amount of ideas generated, compare the granular points and take the winners on each section to come up with the highest possible converting page, all within a span of weeks, not months. We ended with an increase in our stage conversion rate of over 150%. What was your biggest takeaway from this project? That we can’t assume we know what customers are experiencing! By finding out the truth about our customers views on our website, through biometrics, the combination of AI and MVT means that we can get the best possible conversion available. What’s next for you on your digital roadmap? We’re going to roll out the changes across the rest of the website, starting with the color pallet point. We are looking at additional functionality that requires visitors to create an account and the feedback from the user perspective as we develop these features will be invaluable in helping us get it right the first time.